“Smart” toys for the next generation hold the key to the business world’s bright future. 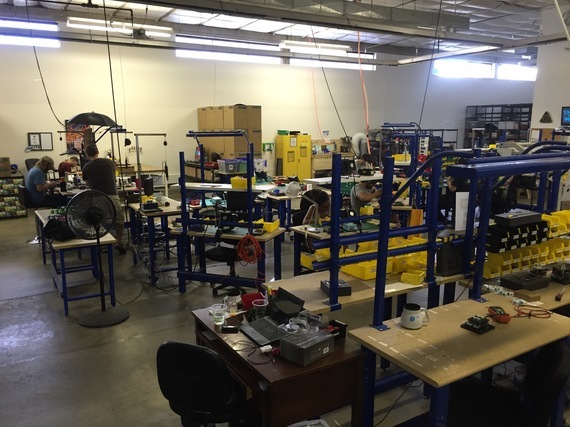 Out of a former post office tucked away in an industrial section of Boulder, CO, startup Mod Robotics develops toys for children to help them learn and thrive in an increasingly complex world. Though the popular mantra of KISS (Keep it simple, stupid) rings true with many of today’s business professionals, Eric Schweikardt, Mod Robotics founder with a PhD in Computational Design, would argue that keeping it simple might actually cause future generations to become less capable of managing the realities of a highly technical world. Eric and I sit outside at a picnic table for our conversation under an overhang of the warehouse-like building – a building that serves as both the headquarters and the manufacturing plant for these unique toys. 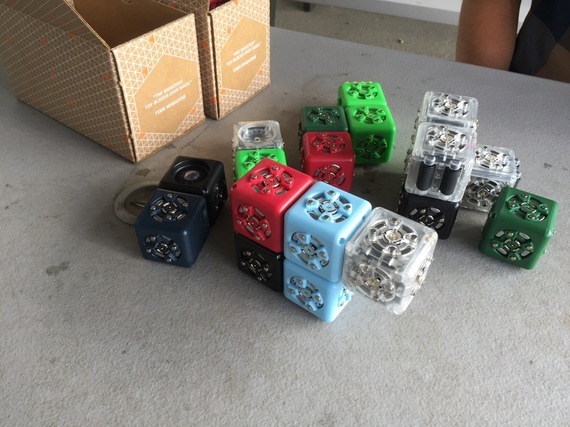 Reaching for two handfuls of the robot blocks – known as Cubelets – he places them on the table and begins introducing the different types. “What do you call these?” I ask. The key component of Cubelets is that they are modular and familiar, a form reminiscent of wooden blocks, and are easy to manipulate. The trick is that these toy robots are “smart,” each with a different function, and when clicked together in different configurations, they behave differently. 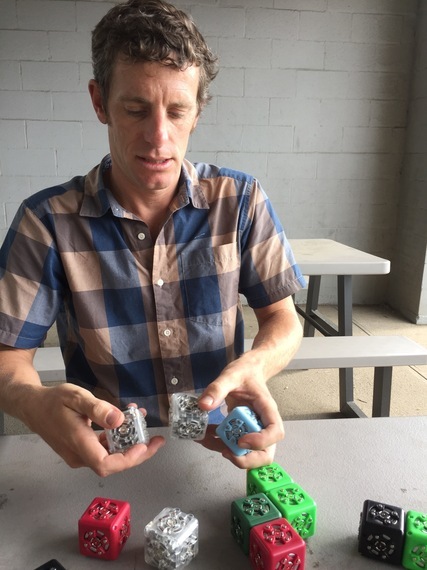 “Each little Cubelet has a tiny computer inside of it,” Eric explains. “All of the clear ones are action blocks – they do things. All the black ones are sensor blocks – they sense things like our senses do.” In essence, the sensor blocks can “see” and then communicate to the other blocks what action to take, such as roll forward, or turn on the flashlight. Rather than having to reprogram each Cubelet, the mixing and matching of the blocks seemingly create new robots, an entirely different approach to how the current set of intelligent robots are being created, which are single form and single function. If this approach was continued, we would live in a world cluttered with robots due to each of their confined and specific use. Following the path of the Cubelets, a person could create a variety of robots from a simple set of components. This is precisely the type of solution future generations will need in order to tackle ever more complex problems – essentially doing more with less. This new approach calls for a clever acronym, one that reminds us that complexity over simplicity might be the real solution. As Eric speaks, it becomes clear that each day we are exposed to a number of variables, so many inputs to decipher. It’s likely this degree of variability wasn’t something previous generations had to manage, and I can only imagine the steady increase that kids will have to navigate in the years to come.